You're currently viewing product Style "A" Quarterboard in category Quarterboards. 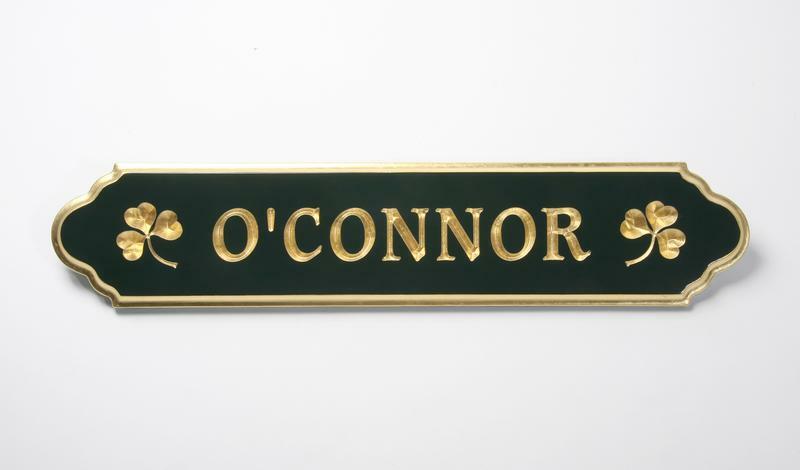 Letters, edge & motif can be finished in 23k gold leaf or metallic silver finish. Put your family name, property name, special title or address on your quarterboard. Carved in motifs (engraved wave, shells, shamrocks, anchors, etc) can be requested in the comment section when you place your order. Intermediate custom sizes can be ordered; you may call for more information. Shipping times are listed on the home page.